My six year-old daughter has been taking Suzuki violin for 2.5 years. We are excited (and a little nervous) about her little brother and sister starting in a few months around their third birthday assuming they seem ready. We are blessed to have a very wonderful, experienced Suzuki teacher, but she has not taught twins before. For those who have, or who have parented twin students, did you teach them and conduct practices individually, together, or some of both? I’m sure that as they mature and start playing more seriously they will need separate lessons and practices, but what about as pre-twinklers? Usually, young beginners would have a 30 min. private lesson weekly. I was considering suggesting one 45 minute lesson with some individual time and some teaching together adding up to about 30 min. per child. Obviously if our teacher decides on a best course I will defer to her, but I think right now she’s open to suggestions. I am currently teaching young twin boys. One is developmentally delayed and the other is not. They share a 45 min lesson but I think we will have to go to an hour soon to allow time for parent training and playing. It’s a little tricky but for now, do-able. We make sure that there are books or coloring books for the other child to play with while the other one has a lesson. I do think it can be hard to balance out things for the kids. It can be so easy to compare and notice if one is going faster than the other (especially with these twins). To help with this I am making up all kinds of new Pre-Twinkle songs and neither one ever gets anything similar to the other. This way they both feel successful and can’t compare with each other. We also work hard to praise brotherly support of each other (i.e. “Didn’t your brother work hard this week?” “Let’s clap for Sam because he worked so hard!”). We cheer each other on, and it helps. I do think eventually they will have to have separate lessons but for now this is fine. It feels like a big family affair. Sometimes even Dad comes and we have the whole family involved. Good luck and let me know if you need any more ideas. 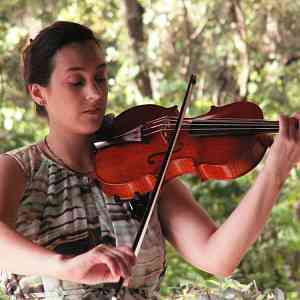 I haven’t taught twins personally, but my teacher-trainer actually discourages having siblings of any age taking the same instrument—! This is the actual ideal situation for the children, but many parents do find the scheduling challenging. We were fortunate for some time to have an Education Centre in our city that included flute, guitar, violin and piano which made this easier but now in my own studio parents have to balance some things…. I do teach siblings, and have actually started them at the same time despite age differences. I wouldn’t alter your course at this point, but you may want to keep this in mind for the future. I taught a set of fraternal twins for awhile. Father had started violin with me a few years earlier, and we tried the children when they were in kindergarten. They didn’t make it. They kept distracting each other, and honestly the parents weren’t scheduled enough to make regular practice time available at home. Also, the children had a multitude of emotional problems—they were adopted from an Eastern European country when they were 2. I believe those also factored in. But in my studio, I try to discourage siblings taking a shared lesson. They always end up distracting each other. I haven’t taught twins, but I have taught siblings. I think whether or not it’s a good idea to have siblings play the same instrument depends entirely on the children themselves (their individual personalities and their love for music and the instrument itself are all things that play a huge role in whether or not the endeavour will be successful). I taught a pair of brothers who were only 13 months apart in age, and it worked out wonderfully- they were 4 and 3.5, respectively, when they started (I started the younger one 9 months after his brother, when I thought he was ready for lessons). They were allowed to sit in on each other’s lessons if they wanted to, on the condition that they were to remain quiet during the other’s lesson. Otherwise they could go play in the adjoining room. Occaisionally, though, I would show them ways that they could help each other practice and allow them to be involved in each other’s lessons. That family has unfortunately moved out of state, but I heard that they are still studying cello and loving it. Of course I can’t suggest this way of doing things for all siblings. I am currently teaching another set of siblings- a boy and a girl, ages 5 and 7.5- and their relationship is nothing like the siblings I mentioned above. Every child is different, thus it is possible to have some siblings study the same instrument and have it work out well, and there are cases where it won’t. I always screen potential students to see whether or not they’d be a good fit with me and my program, and whether I think they’re ready for lessons at all. The teacher may want to observe the way the twins interact for a while before deciding how to approach lessons. If I were the teacher, I’d want to observe them doing something that required them to work together, like perhaps giving each a few pieces of a puzzle and having them figure out how to put them together. Something like that, so I might have a clue what it would be like to work with both of them at the same time. That said, I would not likely consider taking very young children on in such a situation. It requires move emotional maturity than most 8 or 9 year old children have, let alone 3 year olds. Individual lessons may be fine, but there probably would not be much overlap between the lessons. They could have lessons one right after the other, but not many activities together at this point. Then again, your teacher may feel differently; this is just my $0.02. I am the mother 3 year old twins and live in the Los Angeles area. I am hoping to find a Suzuki instructor around this area. As aparent, I really like the idea of having two separate classes for the twins. How do I find an instructor? which instrument were you wanting your kids to study? 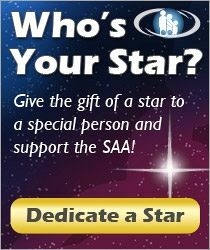 The SAA website has a teacher search feature, but really any teacher can sign themselves up to be on that- you don’t even need to have had suzuki teacher training or any kind of college degree to list yourself on it. So, I’d recommend doing what you are doing, and that is asking for recommendations. 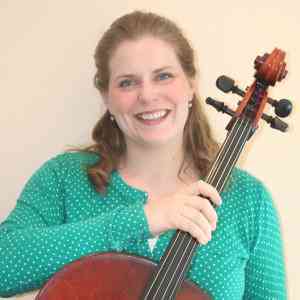 I’m a cello teacher, and I do know of some good cello teachers in the LA area, but that’s hardly any help to you if you’re looking for a different instrument. After looking up those close to you who teach the instrument(s) you’re interested in, call several of them for a phone interview and ask questions—(what are your rates, what are your studio policies, can I observe you teaching a lesson or a group class, do you hold student recitals and could I come see one, how often are your group classes, what kind of training have you had, how long have you been teaching, what age group are your most comfortable teaching, where do you teach, etc.). If you are near the Pasadena area, you should check out the Pasadena Suzuki Music Program! We meet for group classes on Monday evenings and welcome observers. 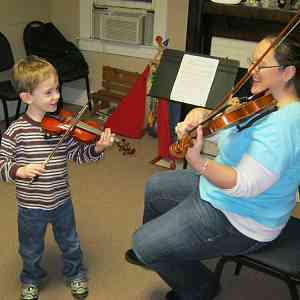 Our program includes violin, viola, and piano teachers. Check out the website and if you’re interested, fill out the contact form… or you could just send me a private message if you want further details. Openings for new students are currently available and our philosophy is to accept students when they are ready to begin, so you don’t have to wait for the start of a new semester. Others exist but I can’t think of them offhand.